As one of the few Santa Barbara Web Design firms that specializes in WordPress development for websites, mobile sites and over all UX/UI we are proud to offer a complete suite of WordPress development services. For a client who needs a WordPress site we typically do a very simple custom web design with a customizable WordPress Theme the client loves. As a personal long time WordPress supporter, developer, moderator and user we’re happy to announce our business WordPress Profile so you can track some of our work and WordPress contributions. The use of WordPress has been been increasing substantially and is really showing up online. We use WordPress as our platform, we’re able to offer a wide range of design options, widget add-ons, search engine optimization, and an easy-to-use content management system so that you can update your site at your convenience. We started using WordPress for our Santa Barbara clients because “google loves WordPress” not only is WordPress easy to use for our Santa Barbara clients WordPress is easy to crawl and the google bots know how to navigate WordPress site maps, posts and pages very well, for a Santa Barbara WordPress developer that is the best of all worlds. Google is constantly changing their ranking system and smart content management systems and Santa Barbara SEO is essential to maintaining a strong web presence in the local Santa Barbara website community/search results. As a SEO company Show Up Web Design thinks the best Santa Barbara websites show up highly ranked in Google, part of a websites ranking have to do with their content management system. This is not an easy task for WordPress so we add other services for our clients to boost their SEO such as: freelance writing, PR writing, article writing and overall search engine optimization. “The people you have eavesdropped on are actually discussing two professions that despite having been around for decades, and in theory for centuries, have been defined by the tech industry as UX and UI Design. Show Up Web Design is a Search Engine Optimization (SEO) website design firm and in Santa Barbara we’re the leading online creative and marketing agency. In Santa Barbara it can be difficult to find the right SEO firm to direct your strategies to show up for your keywords. 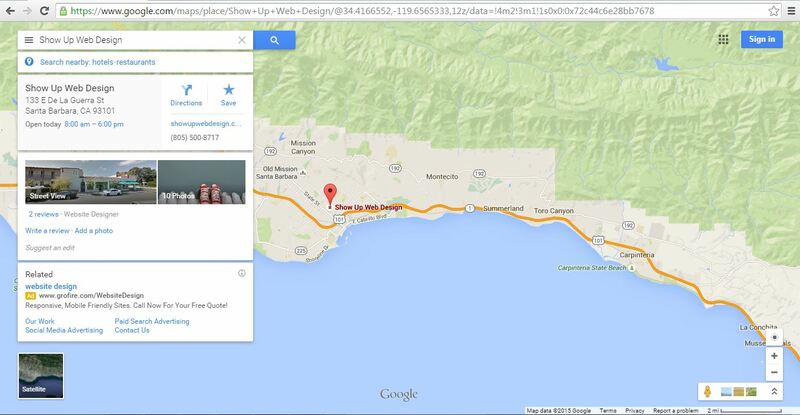 Our tip for a small business in Santa Barbara trying to rank higher in search engine results is READ! There are so many blogs, videos and case studies with examples of remarkable SEO strategies. You have to remember google does not want a website to artificially rank, you must earn your google ranking through, honest, clear white hat SEO. Three of our favorite blogs are Moz (formerly SEOmoz), Search Engine Journal, seo book and of course the King of SEO’ Matt Cutts bolg. 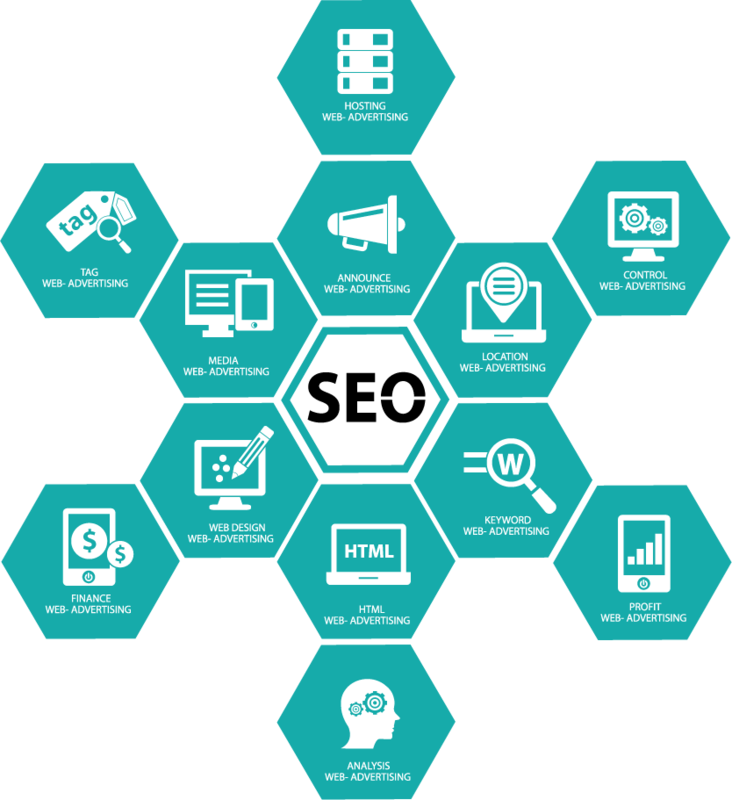 You should have the complete package to show up in the search results, Show Up Web Design is local company specializing in Santa Barbara SEO, website design and web development. Content/Article/Page/Post development and editing is a very important part of what we do, as well as SEO implementation and strategy. We also do freelance writing, PR writing. Having strong Local SEO is vital for your local customers/ clients. We know how vital it is to found locally and easily by future clients and customers. Content is everything, and your website needs the proper content, linkage, and tools in order to be on the first page of search results locally. If you are a company, individual or new restaurant/ retailer around town, let us craft the perfect press release, announcement, ad, and PR plan to get you known and have customers showing up. You need to find a SEO solution that works for you, whatever your business needs may be. Show Up Web Design will figure out a combination of white hat, on-site, and off-site tactics that will best comprise your total SEO strategy, and help you show up in the search results. DESIGN. You need a skilled web designer to create a site that captivates, informs and motivates customers to the actions that will best help your business, service or idea. DEVELOP. Develop a brand with a smart content publishing plan detailing specific steps to success. 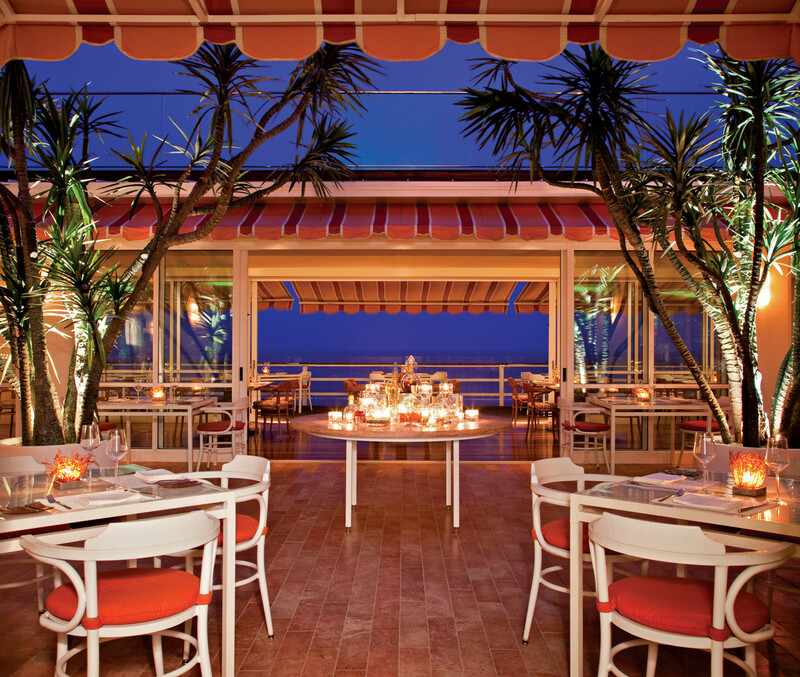 This has to not only be visually appealing but work for your business. EXECUTE. You need to make sure you’re implementing your SEO plan with a professional company or firm with with a strong track record for success. Have you ever noticed that every company trying to sell you a search engine optimization (SEO) package ranks very poorly in search results? It is shocking for me to see how many people can write about strategies, best practices, and go on preaching about local SEO without showing exactly how it’s done or without an ability to prove that their SEO strategies work – even on their own website. We always get asked, how well does Show Up Web Design rank in Google? Below are some of our rankings for common search queries, local seo, top pages and desirable keywords. Show Up in a Big Way! Get your Name Right! SEO is a complicated thing with hundreds of different things ranking your local business. Most business owners don’t know where to start and are often intimidated by SEO because it feels like a marketing activity that only large companies (with unlimited budgets and staff) dominate, which is not true if you optimize your own name and have impressive site links. Show Up on the Map! Has a mailing address or serves customers at its location(s). If you’d like to promote a brand, product, organization, or any other entity without an address, create a brand page in stead. Show Up for your Search Queries & Keywords on the Map. Not only should you show up on the map for you name and categories, you should also be seen in the search results, your business needs to compete for the very specific things your business sells or does. For example we show up for best website design company & web design company. These are great keywords that are searched alot. 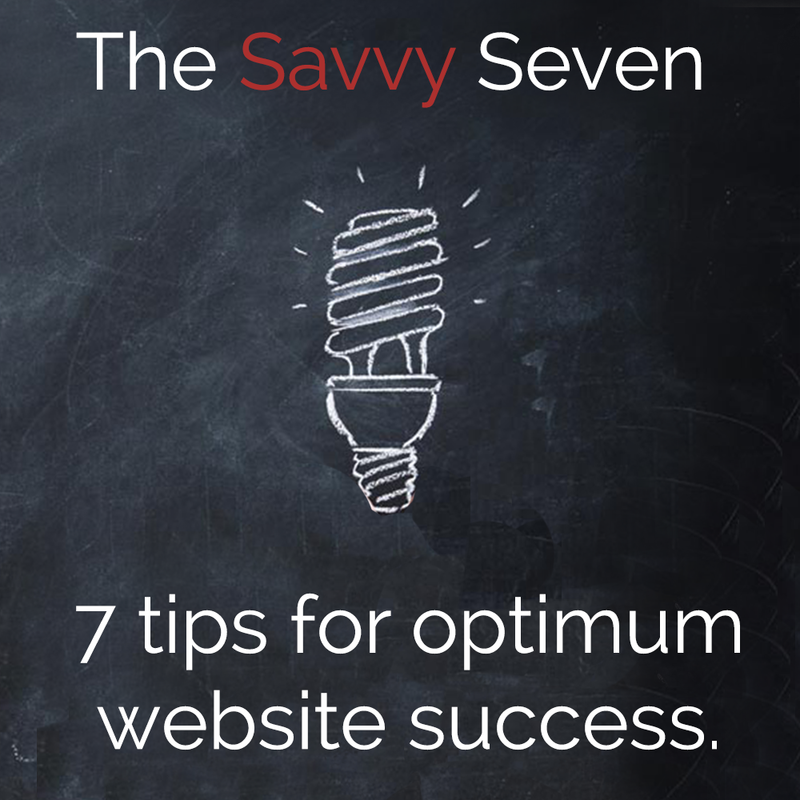 Follow these simple, yet strategic tips for website creation, design, and branding success. 1. Never underestimate the power your online presence has and the business it can generate. Think of your company or professional website as your first impression. Don’t you want to make a great- and lasting impression upon first meeting? Most “first impressions” happen online today. Make sure your website is modern, clean and easy to navigate. Most importantly, make sure your website clearly illustrates what you do, who you are, what you stand for (as a business). 2. Please make it easy for people to find what they need. We all know how frustrating it is when we go to a website and can’t find business hours, contact information, a restaurant’s menus, the list goes on and on. The main reason to go to a website is for more information. Have your business information easily accessible and ready for current and future customers/ clients/ fans etc. Integrate your social media accounts so people can like you on facebook, follow you on twitter. 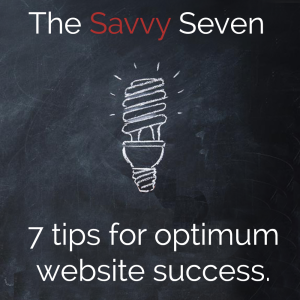 People will get over clicking around and leave your site within ten seconds. Don’t lose the traffic! 3. A responsive, dynamic design is crucial. This means making sure your site is desktop, tablet and mobile friendly. You want current and potential clients and customers to be able to navigate through your site on all devices. Test your site to make sure your theme is modern and is responsive, a study recently reported that “more Google searches take place on mobile devices than on computers in 10 countries including the US and Japan.” With that said, you definitely want a mobile presence. 4. All about that branding. Branding is vital to any business or professional. If your business cards, website, and logo don’t mesh and are not consistent, you are not branding yourself properly. The idea is you have a business, product and your website and marketing materials match the vibe of that business/ product. If you are designing or redesigning your website, make sure to follow through on all other aspects to ensure consistency of your brand. Order updated business cards, manage your social media accounts and update photos, logos etc. It is the first thing that separates the amateurs from the pros. 5. Content will always be King. Always remember this: people like to be engaged, and they want fresh, relevant content. Aim for at least 400 words in an article on your site and always include 1-3 applicable images. Content should never include “filler” or fluff” or be outdated and useless. Use AdWords for help in determining strategic content.Content is key for branding, SEO, and your reputation. In regards to content, quality and quantity matter; quality meaning well written, information and engaging, quantity meaning how often you add and update your site’s content. 6. Know your link neighborhood. Another crucial tip for SEO. Don’t be the bad neighbor, or the neighbor nobody wants to visit. Make sure you don’t include too many links, broken or bad links, or have too many ads on your site and in your articles. Provide your readers and visitors with useful and trusted links. Do not send anyone to a sub-par resource or site, it will annoy them and you will lose your credibility with not only them but with Google too. Do the research and spend the extra time to make sure your hood is safe and friendly. 7. Trust your web developer & choose carefully. Because your online presence is such a big deal, you shouldn’t just trust anyone with designing it. Seek out other company sites that are popular or the aesthetic you prefer and find out who their designer/ developer is. Request consultations with designers. It also helps to go local. You can ask friends for referrals and see a designer’s portfolio and their success online. A local designer is essentially your own personal project manager, creative director, technical officer and marketing exec all at your fingertips. A local designer’s reputation only flourishes due to a strong local following based on their body of work. Ensuring your happiness with the end result of the project is their number one objective. Choosing local is great if you want to be able to interface with someone, especially if your business is local. They know your area, they know what works, trust them. When planing a wedding, it is important to have a great website so people can find you and hear your story. Wedding template website like the “knot” might fall short, if you need a professional and fully built site contact us today Santa Barbara Save the Date Websites. Having a unique and beautiful website and save the date website is important, you don’t want to cut corners and use four square or wix when you show people your wedding website which is your first impression for your new life, make sure what you show them is beautiful. After you get married you can also turn your website into a family blog. Please guide us with your imaginative, innovative and inspiring designs at show up web design we consistently exceed the expectations of our clients no matter the size of the website, save the date or registry. FOREVER – a clean and elegant wedding website template, great for wedding invitation or engagement. Coming with wedding features such as Countdown, Couple Timeline, Location Map, RSVP, Groomsmen, Bridesmaid, Gift Registry and others. This template is responsive and optimized for mobile device. 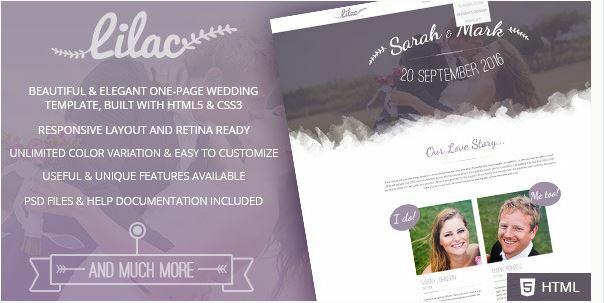 As a local wedding website designer Lilac it’s a beautiful and elegant one-page HTML5 Template, designed and developed for couples who want to create their own wedding website. This template is, without a doubt, a creative way to invite your friends and family to your wedding and to let them know all about the ceremony details. With Lilac you get unique sections and features such as: Event Time-line, wedding Countdown, wedding location, Gift section, Gallery section for the guests to share their own pictures and thoughts during the wedding using instagram and twitter, Blog, RSVP form and much more! Lilac was built in HTML5 and CSS3 and it’s Highly customizable. It has a fully responsive structure built with Bootstrap Framework and it’s retina ready, so it looks stunning on all types of screens and devices (desktop, notebook, tablet and mobile). 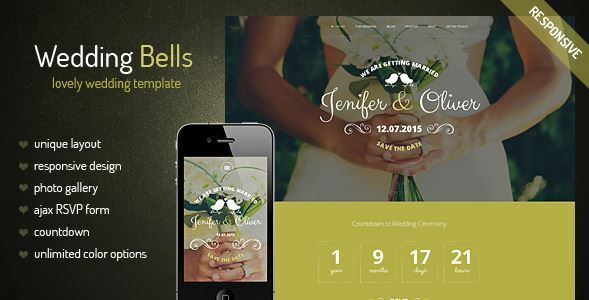 “Wedding Bells” is a HTML/CSS template. 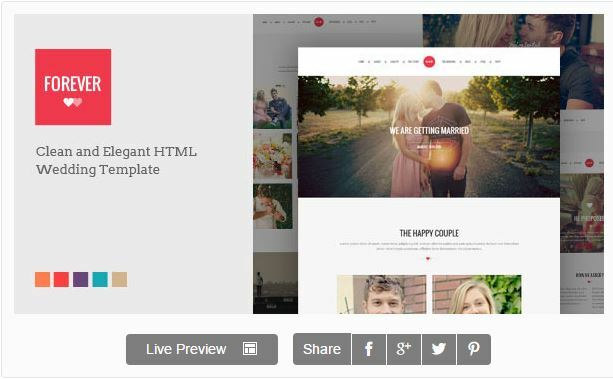 It was created for couples that want to build their wedding website. The design is a responsive wedding design which will adapt to all devices resolution. The template layout contains custom made pages for wedding niche, like RSPV, photo gallery, bridemades and groomsmen’s, Santa Barbara wedding location, countdown to events dates. The template contains 5 allready predefines colors with unlimited posibilities. To change a color it only requires to edit a color code in the the CSS file. 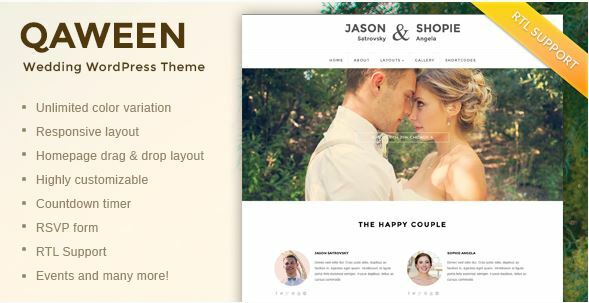 Qaween is a feature-packed WordPress theme that can help you built the best Santa Barbara wedding web site for you and your couple on top of WordPress platform. On top of that Qaween is powered by Redux Framework, a top-notch theme options framework. There are hundreds of options available from the theme options to help you customize the theme. This WordPress theme also comes with built-in AJAX RSVP form, photo gallery, events, countdown timer, slideshow and many more. Gittys is a Wedding Event WordPress Theme. It’s super simple. It has a responsive design meaning your content will be displayed beautifully on all mobile devices. Responsive, SEO Optimized, Lots of Shortcodes, easily accessed as buttons via the visual editor, Gallery Page, Portfolio, Contact Page, Blog Page, WooCommerce, BbPress, Third level dropdwon menus, Threaded Comments, HTML5 & CSS3 Coding, localized, Theme Customizer, Includes xml file for one click demo import, Includes extensive documentation, Image Gallery, BuddyPress, 404 Template and much more. Below is a great example of a site we did. Moreno is a Wedding Event WordPress Theme. It’s super simple. It has a responsive design meaning your content will be displayed beautifully on all mobile devices.